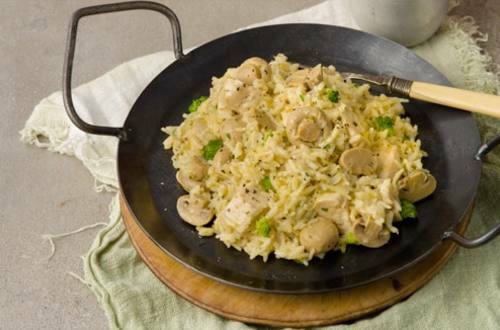 1 Bring water and Knorr® Rice Sides™ - Cheddar Broccoli to a boil in large skillet. 2 STIR in chicken and mushrooms. Reduce heat and cook, covered, 7 minutes or until rice is tender. 3 SEASON with ground black pepper and serve. Enjoy!